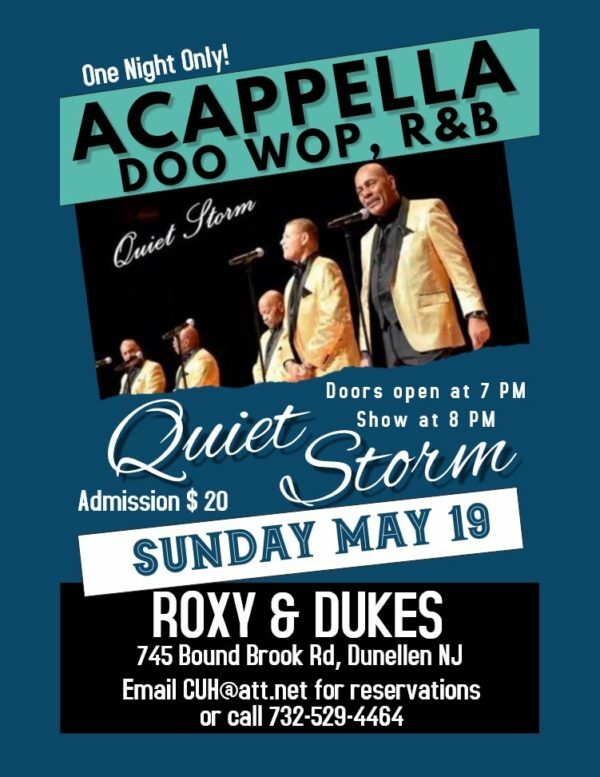 05/19/2019 Doors open at 7 PM, Fisrt of 2 sets at 8. 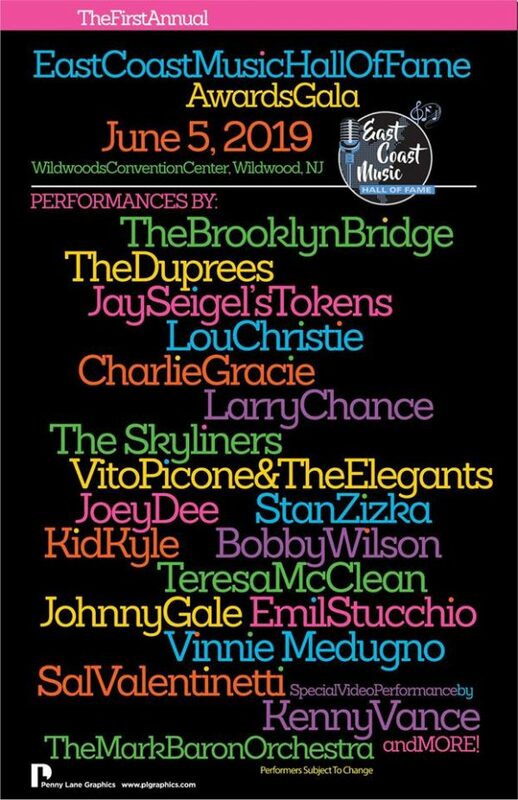 06/05/2019 Doors open at 5:30 PM, show at 7 PM. 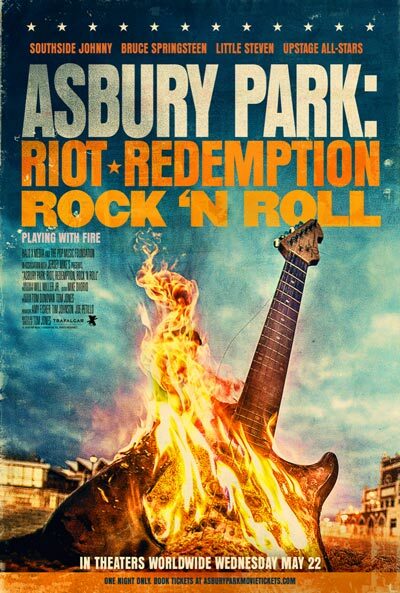 Click for more ticket info and a link to purchase. 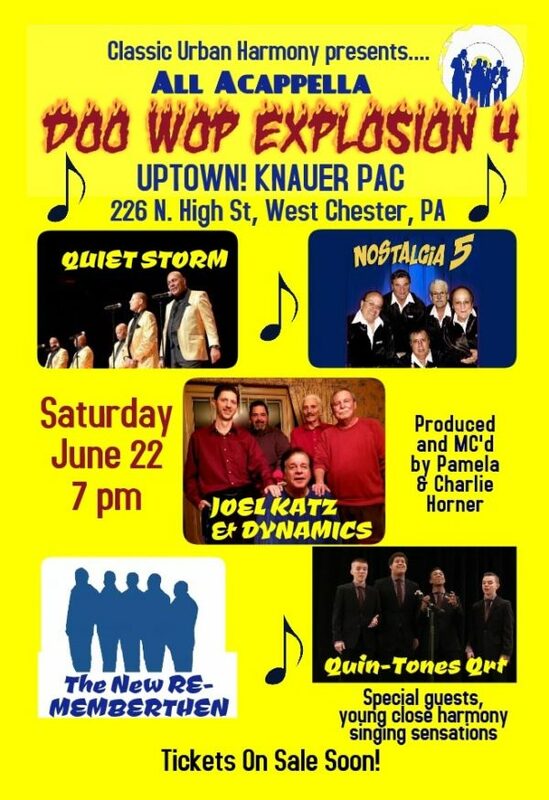 Doo Wop Explosion 4 set for June 22 in West Chester PA, 5 acappella groups.